Loic and I drove to Grasse for a lunch and a short afternoon visit. It is an old town located in the hills about 10 miles from the fine sand beaches of Cannes and the Mediterranean coast. 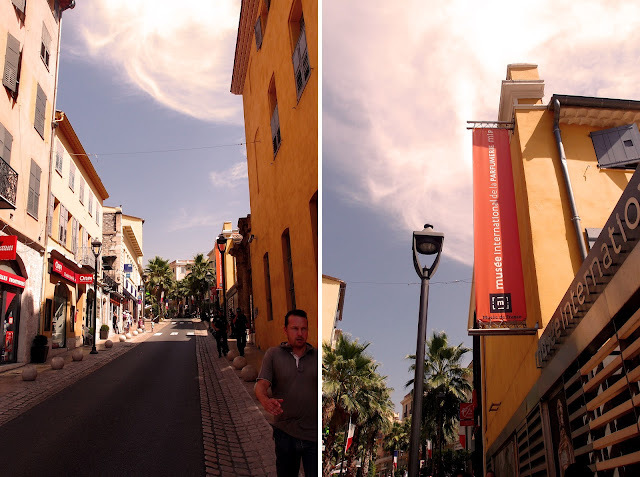 It is not much of a touristic city compared to Cannes, Nice and Saint Tropez but it is indeed a fascinating historic town and worth visiting. Grasse is a world leader in the production of natural fragrances for the perfume industry and of flavorings for food manufacturers, it has been called 'the perfume capital of the world', producing fragrances since 17th century. And here's another little fact: Chanel No.5 is the best-selling perfume in the world and its principal ingredients are rose du mai, jasmine, and a synthetic musk. A few years ago jasmine production was disrupted by bad weather and Chanel took the precaution of buying an own farm in the Grasse area. Run by the Muhl family it produces 20 tons of jasmine and 50 tons of rose du mai annually, exclusively for Chanel. "Happiness is like perfume: You can't give it away without getting a little on yourself." Life always gives off a unique fragrance, just savor and smell every scent.